Jean Louise Shook received her Bachelor of Music degree from Temple University where she studied violin and chamber music with Edgar Ortenberg (formerly of the Budapest String Quartet) and piano with George Sementovsky and Natalie Hinderas. 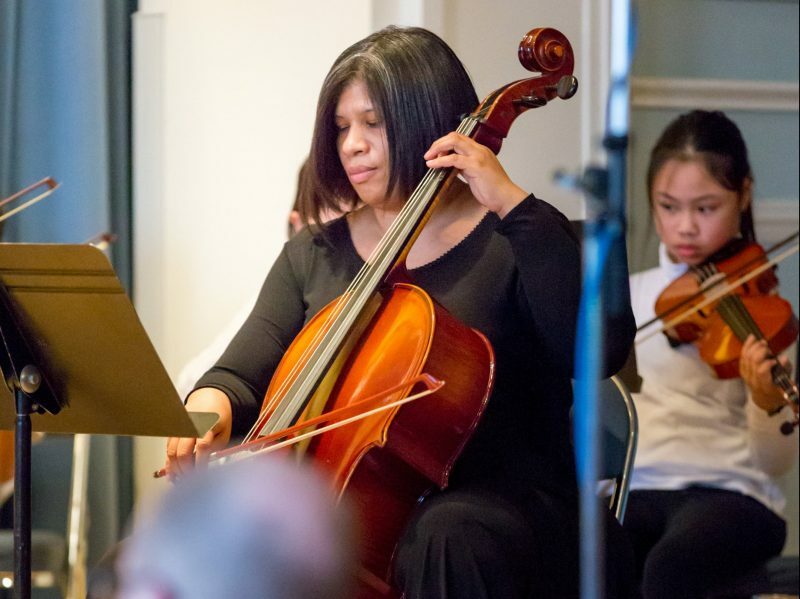 She has been a faculty member of the Settlement Music School since 1975, teaching violin, coaching chamber music and performing as a staff accompanist. Since 1999 Ms. Shook has held the ‘Mr. and Mrs. Donald Kardon Distinguished Faculty’ chair at Settlement. In 2005 she was awarded the Sol Schoenbach Award for outstanding service to the school. As pianist, Ms. Shook has frequently accompanied master classes of Pamela Frank, Ida Kavafian, Jaime Laredo, David Kim, Kim Kashkashian and Michael Tree, sponsored by Philadelphia Chamber Music Society. Ms. Shook performs as violinist and pianist with the Elysian Camerata and is a member of and music arranger for the Danoff String Quartet. She has shared her passion for music and teaching with students of all skill levels and has had students presented on “From the Top” at Carnegie Hall, quarterfinalists in the Fischoff National Chamber Music Competition, and winners of the Tri-County Competition.